The Rory Bunk bed is a bunk with a modern feel, featuring slatted or solid head and foot boards. 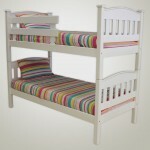 A solid dependable and contemporary bunk – no wonder it’s one of our best sellers. 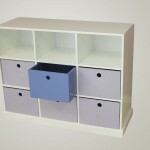 The legs are solid square supports which gives the bunk ultimate stability when climbing up or sleeping on it. 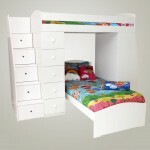 A bed that will last and last and can be separated to create two individual beds when the kids get a bit older. 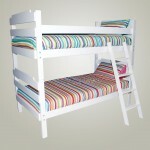 The picture displays a Slatted Rory Bunk. 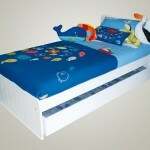 The bed is also available with solid head and footboard with tongue and groove. 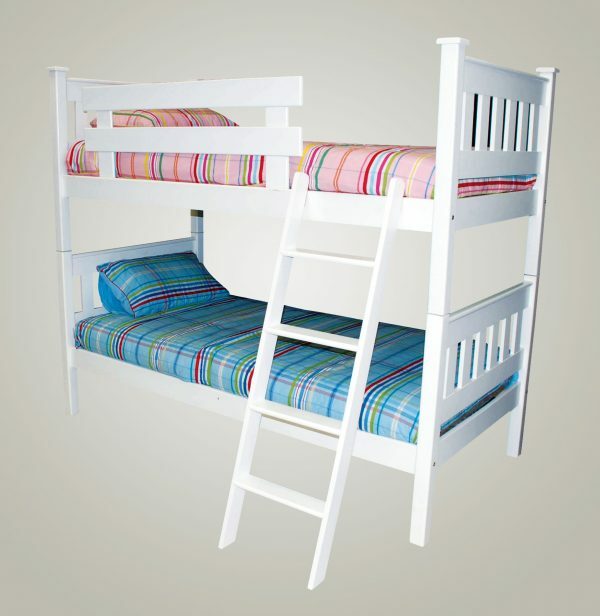 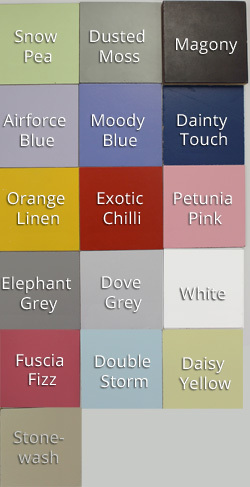 See our mattress range, ideal for this bunk bed.